JPMA publish various guidebooks / reports on issues concerning paint industry and colors. Most publications are available only in Japanese. 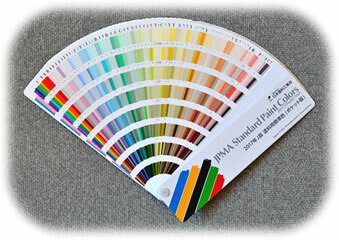 Here, we'll introduce English publication and JPMA Standard Paint Colors. Trends and statistical data of Japanese paint industry, introduction of JPMA along with members' list. 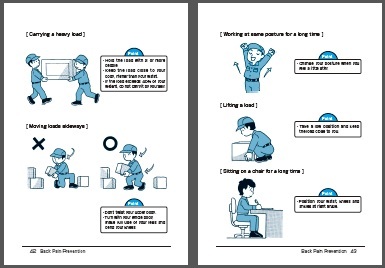 This handbook is the English tranlation of original Japanese version issued by JPMA. 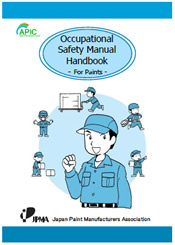 It describes Basic safety procedures for paint manufacturers. Handy size to keep at the workplace. Review the check list everyday! There are more than 30 publications available in Japanese regarding technical issues, environmental issues, statistics, colors, etc. Click here to see Japanese publication list (page available in Japanese only).